Campbell´s soup cans, the banana album cover from The Velvet Underground and quirky colour-adjusted panels of film stars and artists – Marilyn Monroe, Elizabeth Taylor, Michael Jackson – are all immediately recognisable as Andy Warhol´s work. But he was also a skilled draftsman, filling early sketchbooks with freehand drawings of still lifes and portraits of friends. From Silverpoint to Silver Screen brings together more than 100 of Warhol´s early drawings, from the 1950s. They show great great technical ability and are executed in Warhol´s characteristic blotted-line-technique, which involved tracing projected photographic images onto paper and blotting the inked figures to creative variations on a theme. 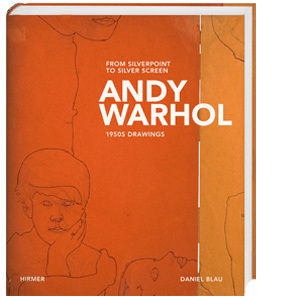 Many drawings were completed during Warhol´s early years in New York and include award-winning commercial illustriations and assignments from his studies at the Carnegie Institute of Technology. Other images demonstrate his take on the dark side of society. 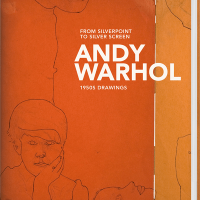 The book includes insightful essays on the young Andy Warhol and the art scene of the 1950s. This groundbreaking publication reveals a lesser-known side of Warhol and gives insight into a time of uncertainty and excitement in his development.